You are here: Home / Connecting / Disney Weddings: Our Happily Ever After & the Wonder of a Ceremony at Walt Disney World! 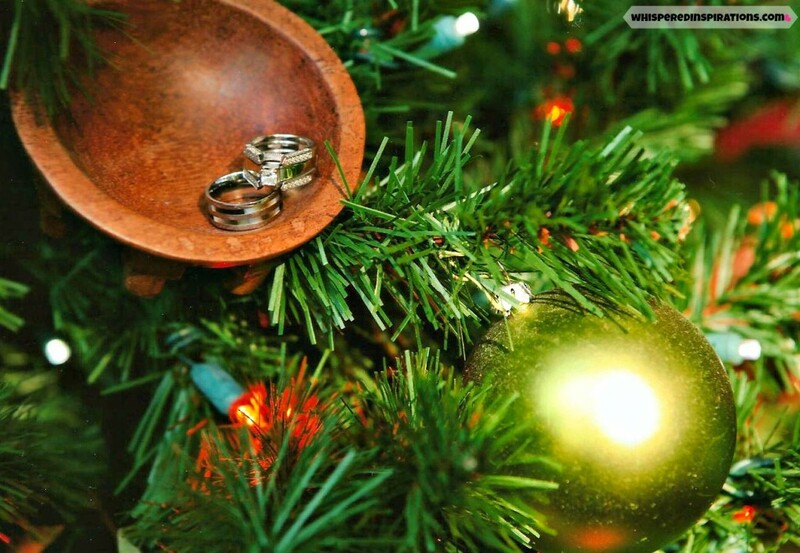 As many of you know, this last New Years Eve, Hubby and I decided to renew our love and commitment to one another. You guys even helped me pick out my flowers! Well, Since we both are H U G E Disney fans, we decided what better place to have a dream ceremony than in the most magical place on earth? Like any Walt Disney World experience, they never disappoint. They definitely make you feel like a Princess from the minute you decide you want to renew your vows or get married at Disney. These are but a few pictures from my album and I ask your forgiveness on loading time or quality! There’s much more but, too many to share in one blog post but, magical nonetheless! Since we headed to Walt Disney World during the holidays, all the parks and resorts were decorated beautifully for Christmas. 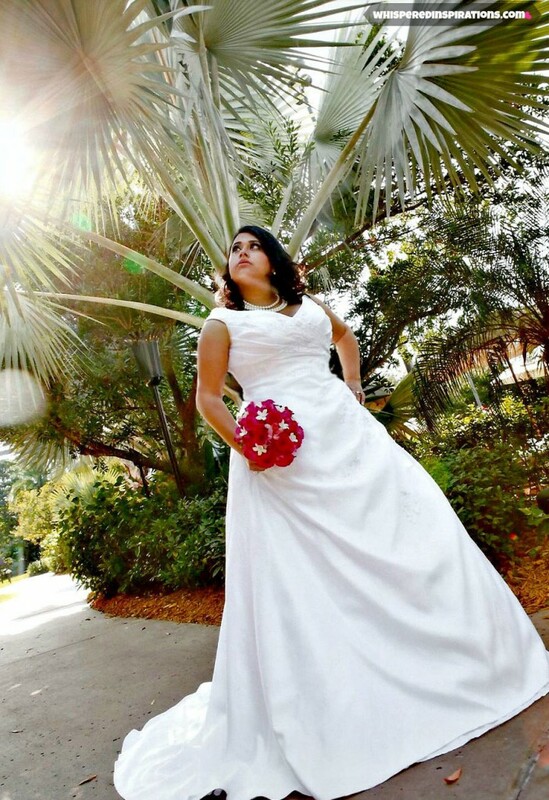 Our Disney Weddings wedding planner set us up with photography packages and we decided to go with a photojournalistic approach and got two photographers to document our special day! There were so many beautiful and creative ways that they captured the memories! 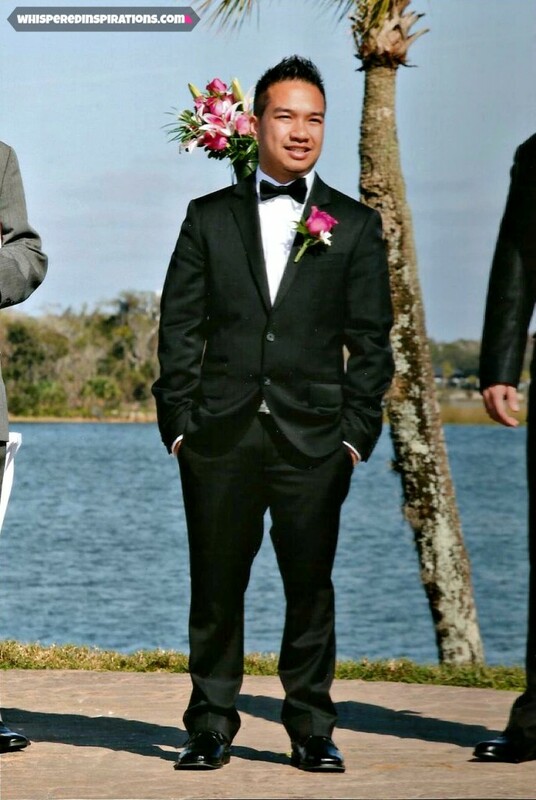 What I loved was that I didn’t have to do a thing when we got to Orlando, simply just show up. Disney Weddings has packages that would suit any bride, from the Escape Collection, Wishes Collection, Couture and Memories Collection. 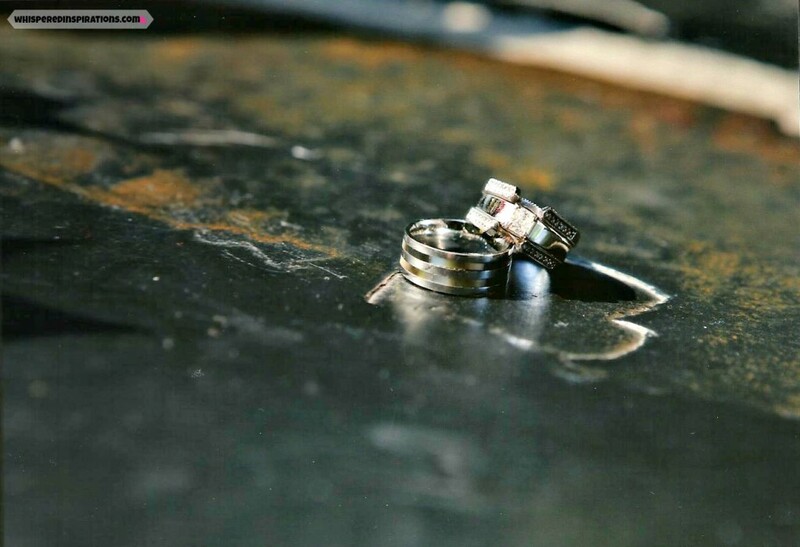 So, from the most intimate to the most extravagant weddings. We had everything we need, transportation, floral, cake, photography and plenty of options to choose in each category. Our wedding planner, Kristin, was so gracious, patient and amazing! She helped us put together every single detail with no stress and everything we envisioned, she helped us with. From lists of hair and make-up artists, dress steamers and to picking our floral decor to the hidden Mickey’s in my bouquet. 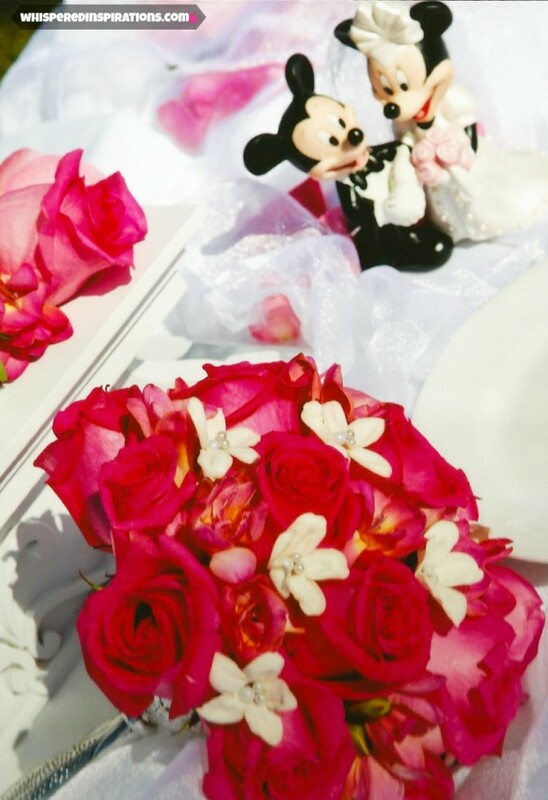 We chose roses in light pink and fushia and white stephanotis that contained the Mickey ears made from pearls. 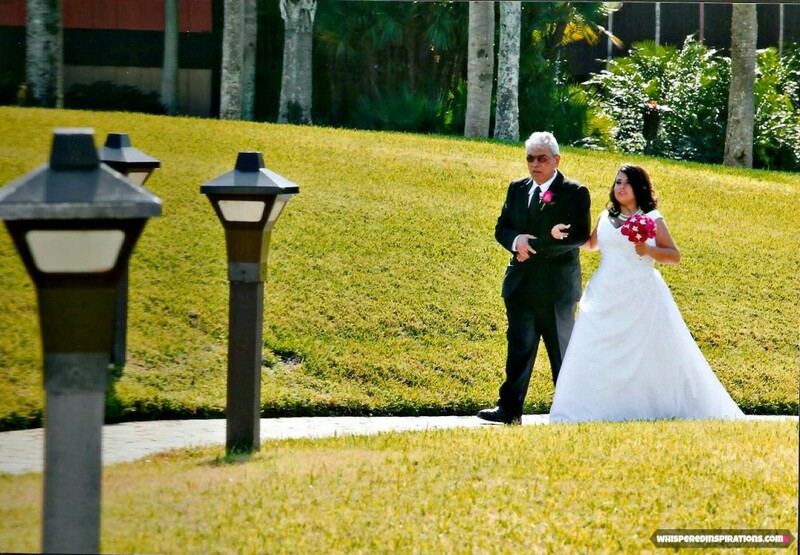 Pictured above is Hubby when he was looking out for me and while I was walking down the aisle. We decided on an outdoor venue which was beautiful. It was Sunset Pointe near the Polynesian and pretty much a little island that you walked onto, surrounded by palm trees and water and Cinderella’s castle in the background! For the flowers, we chose my second favorite flower, Tiger Lilies! The days leading up to New Years Eve we had had some rain but, the day of–it turned out to be absolutely gorgeous and warm! We enjoyed our champagne and sparkling cider and our cake whilst enjoying the beautiful views! 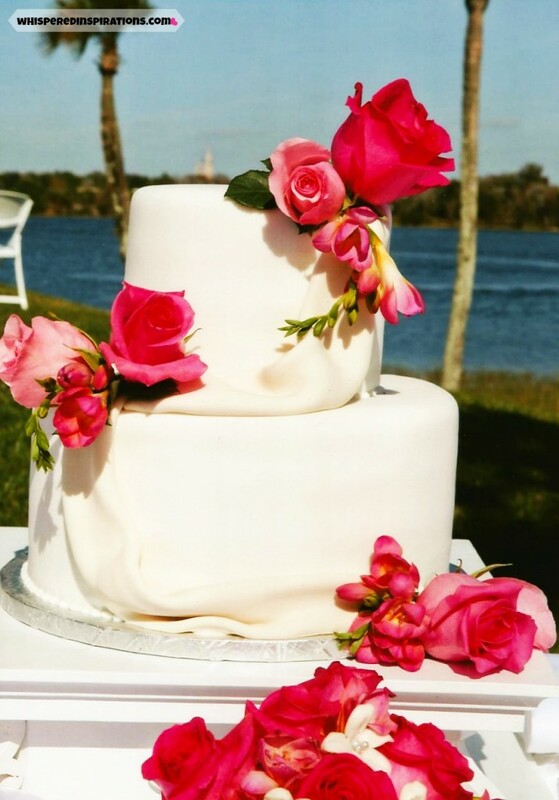 Our cake was vanilla with white chocolate mousse and we chose the rose drapes design with fresh floral and a Mickey and Minnie topper. After the ceremony we headed off onto the Polynesian Resort property and took couples pictures for about an hour. We have some great shots on the beach, by waterfalls and much, much more! Here’s a couple shots of us separately and we have tons of really cheesy, romantic pictures but, those are for another time! Walking through the resorts, the staff and even resort patrons all said, “Congratulations!” and they gave us special pins to wear for the remainder of our stay at Disney. Everywhere we went Disney staff gave us their best wishes and at some restaurants we got complimentary champagne or dessert. Also, With your package you get transportation, we had limos to get to and from our resorts and to use for anything we needed during the allotted time. Since Magic Kingdom was at full capacity at 10 A.M. on New Years Eve, since we were staying at a resort we were able to get in at 3 P.M. after a small reception at Disney’s Grand Floridian Resort at 1900 Park Fare. We spent the remainder of our special day to in Magic Kingdom and watched the New Year’s Eve fireworks along with thousands of other Disney park goers and it was a sight to see! Would you ever consider Disney Weddings for your special day? Previous Post: « Think Minted. For All of Life’s Special Moments or Just the Everyday! While You’re Here, Enter to Win a $50 Gift Card to Celebrate Those Moments with Exceptional Designs! Thanks Kat, finally put up the pics! What a fantastic way to renew your vows. 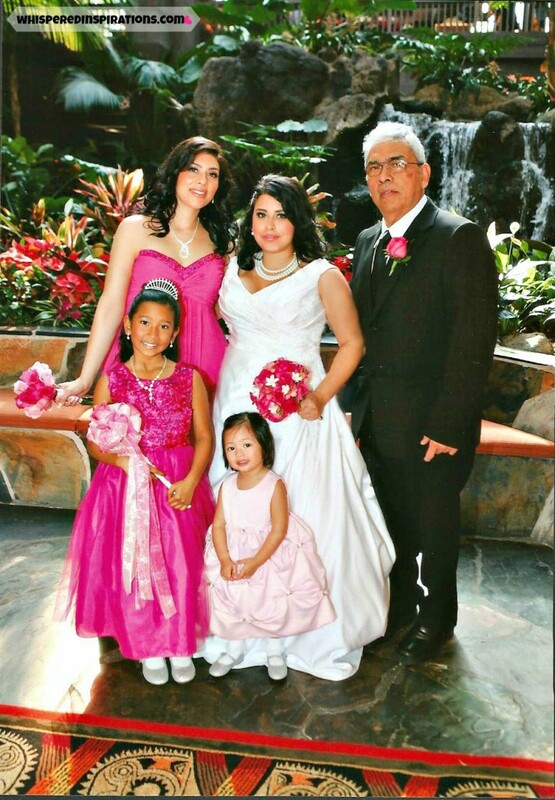 A beautiful wedding – love the bright fushia! What an amazing experience! Definitely once in a lifetime. 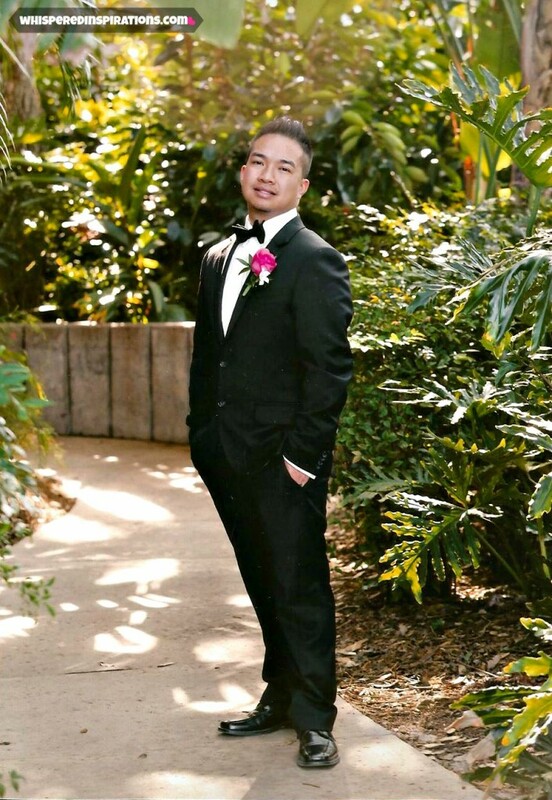 We considered having a Disney wedding but just could not come up with the expenses of having a Disney wedding at the resort. It is pricey but, since it was a second go around at it, we thought it was worth every penny. We were much younger and now, we thought it was the perfect time! 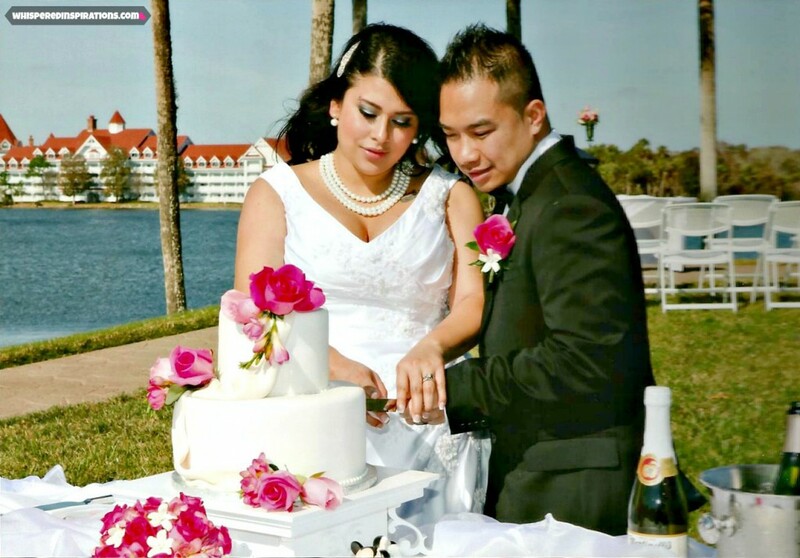 What a great idea–never thought of Disney as a wedding destination–but why not–you guys look great!!! congrats and many years of happiness! What a wonderful celebration! I always wanted to get married at Disney. Maybe we will look into a vow renewal for next year. Thanks so much for sharing. You were a beautiful bride! Thanks, that’s what we did! 🙂 Did it small the first time around and years later, we did it Disney style. Stunning photos!!!! LOVE the silhouette one…. breathtaking even in blur!! This makes me want to renew my vows with hubby there! The pictures are stunning, you look beautiful beyond words and everything about this just looks magical! What a great way to celebrate. I am totally talking to hubby about doing this as well when we renew! It was amazing. We were going to get pictures done at the castle but since it was the holidays, they weren\’t taking sessions. I\’m going to go back in another 10 years to do it. LOL, maybe sooner! And thanks so much, you will look stunning too! Your photos are just breathtaking!! What an amazing memory you have created for the two of you!!! Congratulations and thank you for sharing! love the pictures. When we were honeymooning at Grand Floridian a few years ago, we saw a bride and her father in a carriage headed to a ceremony. We were thinking of getting Mickey and Minnie to attend but, preferred to get more photography. But, the carriage is a beautiful touch. 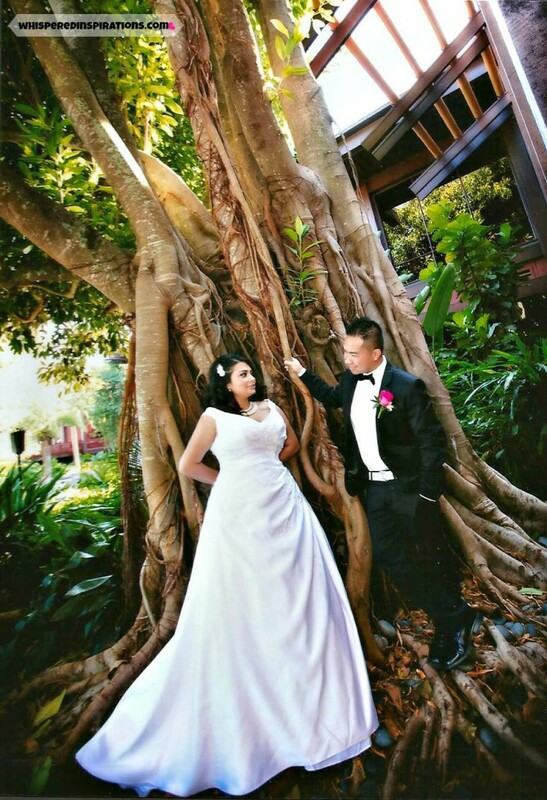 Thanks for sharing your beautiful wedding renewal photos! Everything looks perfect and the group looks so smartly dressed! My recent post Monsters University Movie Review! oh that looks so special and amazing! I was looking forward to seeing photos from you day! 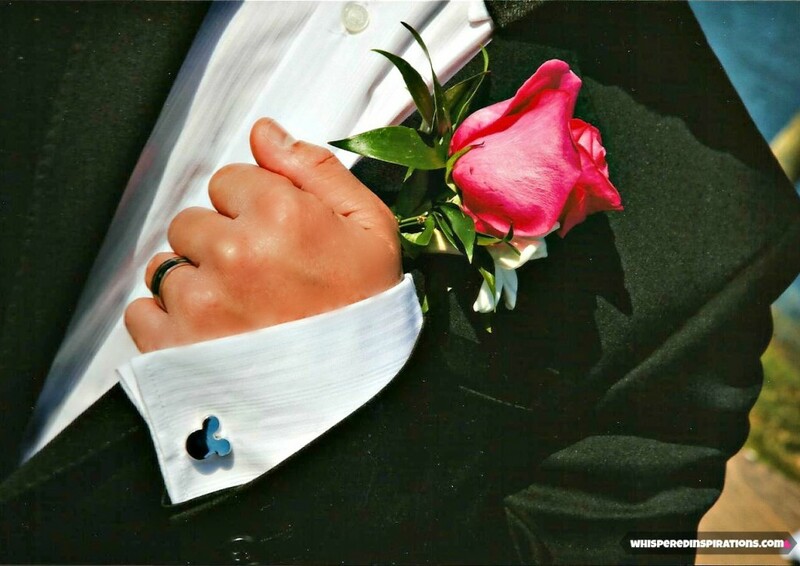 I love those mickey mouse cuff links! every last detail was thought of! Thanks, Hubby pays close attention to detail and that was one of his touches. Everything else Kristin did, she literally helped me with my train and anything I needed. She also gave us an amazing keepsake gift from Disney. SO SPECIAL. Muchas gracias, las queremos muchisimo tambien. No hay nada como la magia de Disney! Aw I love this! Your colors are stunning, I love that bold pink just gorgeous!! What a beautiful day!! What an amazing day. 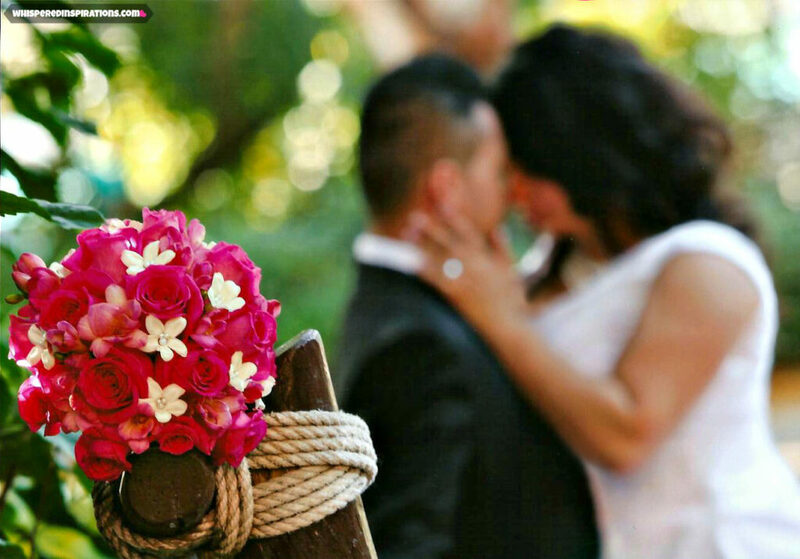 If we ever renewed our vows we'd do it at Disney, love your wedding colors. Beautiful dress and rings. LOVE all those pictures! Looks like such a magical day! wow I had no idea Disney did weddings. those are some great pics. Wow Nancy, what an incredible fairytale renewal! You and your hubby looked gorgeous and your weather could not have been better. Your colours were just stunning! I knwo this was a few years ago, but wow, I can just imagine how the memories make you feel. Congratulations! Thanks so much, it was an incredible day!